Newest vessel undergoes refit in preparation for summer 2018 service The Northern Sea Wolf, BC Ferries’ newest vessel acquired for the new route from Port Hardy – Bella Coola, and named through a community engagement process, will undergo a major upgrade at Esquimalt Drydock from December 2017 to April 2018, following a competitive bidding process. BC Ferries has awarded two major contracts to Esquimalt Drydock of Esquimalt, B.C. The first is a $2 million docking contract for underwater components. BC Ferries will also award approximately $18 million further to Esquimalt Drydock Company and other local contractors and suppliers for the interior and safety upgrades. Each year, BC Ferries awards contracts of more than $10 million for docking at local shipyards in B.C., and spends an average of $64 million on refit and in-service maintenance at B.C. shipyards. BC Ferries expects the Northern Sea Wolf to arrive in B.C. this week after a 10,097 nautical mile journey from Athens, Greece. The vessel is expected to drive tourism in north and central B.C. and will be a welcome addition for coastal communities. The major upgrade will include dry docking, interior and exterior painting, overhauling the propulsion engines and gearboxes, installing new electrical generators, upgrading the switchboards, installing new navigational equipment, and upgrading shipboard safety equipment and systems. BC Ferries will also update crew and passenger areas and amenities by adding a full galley, a dedicated dining area, a newly configured seating lounge and prime outdoor viewing areas on the upper outer decks. The Northern Sea Wolf was built in 2000 and will accommodate a minimum of 35 vehicles and 150 passengers and crew. Sailings will depart from Port Hardy and Bella Coola five days per week during peak season. Fares for this route will be consistent with the fares on the existing connecting service. The vessel will also provide year-round service to Bella Bella, Shearwater and Ocean Falls. Reservations for summer 2018 on this route and other northern routes are now open for booking. As these are popular routes, BC Ferries recommends customers reserve well in advance of their planned travel. 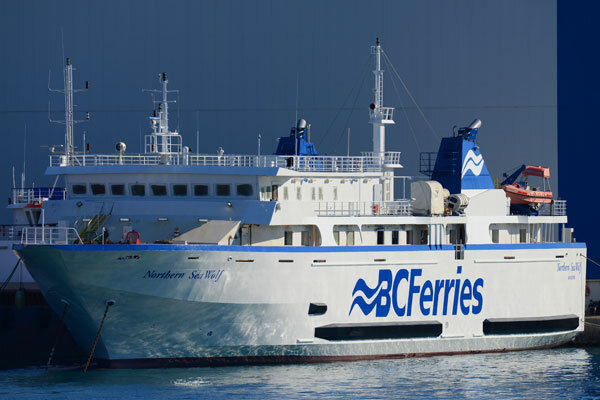 For the schedule and additional information, please visit bcferries.com/about/projects.